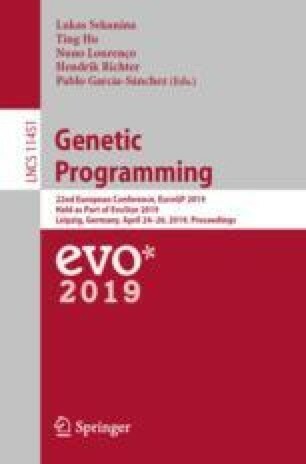 Scalability of fitness evaluation was the main bottleneck preventing adopting the evolution in the task of logic circuits synthesis since early nineties. Recently, various formal approaches have been introduced to this field to overcome this issue. This made it possible to optimise complex circuits consisting of hundreds of inputs and thousands of gates. Unfortunately, we are facing to the another problem – scalability of representation. The efficiency of the evolutionary optimization applied at the global level deteriorates with the increasing complexity. In this paper, we propose to apply the concept of local resynthesis. Resynthesis is an iterative process based on extraction of smaller sub-circuits from a complex circuit that are optimized locally and implanted back to the original circuit. When applied appropriately, this approach can mitigate the problem of scalability of representation. Our evaluation on a set of nontrivial real-world benchmark problems shows that the proposed method provides better results compared to global evolutionary optimization. In more than 60% cases, substantially higher number of redundant gates was removed while keeping the computational effort at the same level. This work was supported by The Ministry of Education, Youth and Sports of the Czech Republic – INTER-COST project LTC18053 and by the Brno University of Technology project FIT-S-17-3994.